*Click here for an update (February 2018) on Madelene’s story and meet her sweet baby girl, Esther! Pregnant at 39 years old, Madelene came to the Maternity Center earlier this year for prenatal care, gripped with the fear that she would lose yet another baby. We listened and prayed as she tearfully shared her history of loss, including miscarriage and the tragic death of her two-month-old baby due to unknown causes. Madelene and her husband live with their daughter in Corail, an impoverished community outside the capital city of Port au Prince, Haiti. Following the devastating 2010 earthquake, tens of thousands of displaced Haitians like Madelene moved to Corail. With little infrastructure and few resources, material poverty is a way of life for families in Corail like Madelene’s. “Times are difficult. It’s hard to have another child with the way things are,” she says. 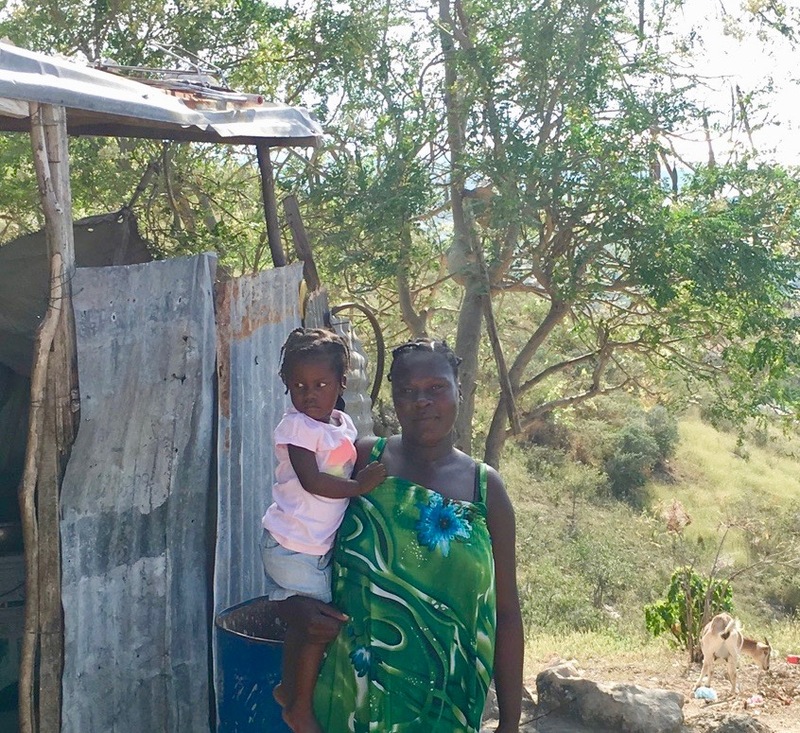 Living below the poverty line, Madelene and her husband barely cover their rent each month and can’t afford to enroll their daughter in school. 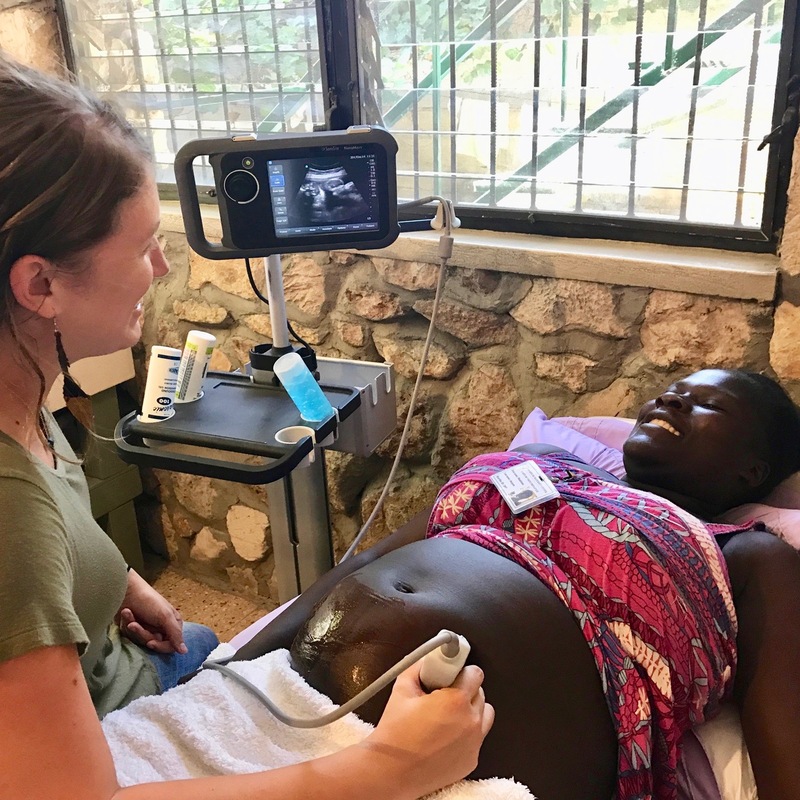 But because of the opportunity to receive excellent medical care, she spends two hours traveling on four different trucks from her home to the Heartline Maternity Center each week for prenatal care and educational classes. Madelene and her baby are being closely monitored for life threatening complications that place them at high risk of maternal and infant death, including dangerously high blood pressure and hemorrhage following birth. Will you give the incomparable gift of life by providing a safe birth for Madelene and her precious baby? Your donation will deliver lifesaving care. 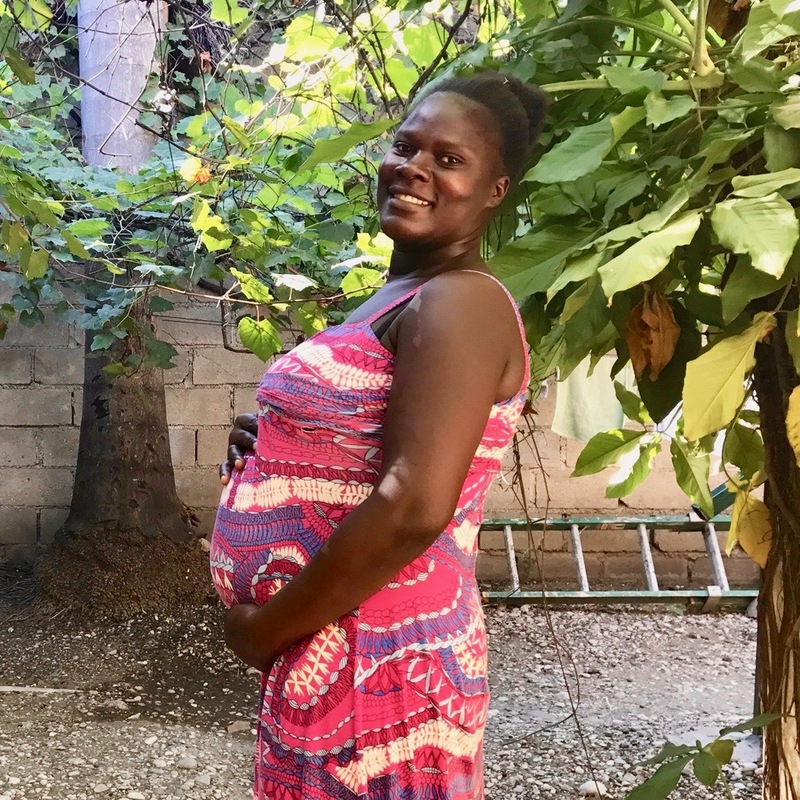 Madelene is thankful to have honest and skilled prenatal care for the first time, especially since she’s not facing insurmountable medical expenses like she did during her last pregnancy. After getting an ultrasound at a government maternity hospital, Madelene was told she was pregnant with twins and needed to have frequent and expensive ultrasound scans to monitor a serious problem with one of the babies. Unable to read the ultrasound that showed she was in fact pregnant with just one baby, Madelene believed the doctor’s lie, draining her family’s resources to pay for unnecessary ultrasounds until she simply ran out of money. When it came time to give birth, she was shocked to discover she was carrying just one baby. She gave birth at home, all alone. With each passing month, Madelene grows more hopeful that this pregnancy will end joyfully – with the gift of a living, healthy baby. Haiti is still the most dangerous country in the Western Hemisphere to be pregnant or an infant. Your gift today will give Madelene and her baby the best chance at surviving birth instead of becoming devastating statistics. Your generosity has the power to make a lifesaving difference. Will you provide Madelene with the care she needs during the last two months of her high-risk pregnancy and give her baby the best chance of survival? Will you give her baby the gift of family? Click here to give now. As we celebrate the birth of Jesus to a vulnerable, poor mother this Christmas, we are profoundly thankful that God continues to bring healing and hope to marginalized people loved by God. Thank you for praying and giving. Together, we can change the story for Madelene and her family, fueled by the rescuing love of Jesus.